I've been scheming for a few years now on how to get in a long run in the White Mountains of New Hampshire. I've been living in or visiting the area for my whole life, but haven't had the opportunity to play in the Whites once I began trail running. I became focused for a year or so on the Presidential Traverse, but the point to point nature creates some logistical issues for a solo run. I entertained the idea (for a fraction of a second) of an out & back Presi Traverse, but that would be a LONG day and one I wouldn't feel comfortable doing alone. A few months ago, I was reading about the Presi Traverse and heard about the Pemi Loop. A 31.5 mile loop, hitting nine summits, climbing 9,160', and encircling the Pemigewasset Wilderness area. You can add a couple more summits if you want, but the specs above are for the basic loop. It sounded awesome. 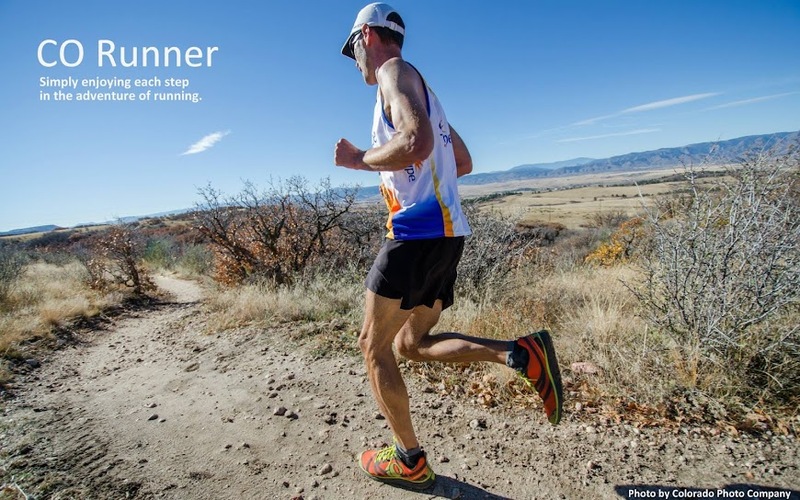 The book time for the Pemi Loop is 20hrs15min, but thanks to Adam Wilcox and his blog reports on his FKT attempts, running it can cut that in half or more. The tough thing about living and trail running in Colorado is that I tend to underestimate runs at lower elevations. I'll make it very clear here (so I remember the next time I attempt anything in the Whites), running these trails is stinkin' tough. I should have remembered that from my Elwell Trail run in 2010. You really need to redefine what you call "runnable." And as you will soon see, the weather can become a major factor without any notice. With a week of vacation visiting my folks on tap, this was my chance for a final long run before Leadville. On Wednesday morning, I got myself to the Lincoln Woods Trailhead about an hour before sunrise. I donned my headlamp and started the counter-clockwise loop by getting the long, flatish stretch up the Wilderness Trail over with first. Man, were those woods dark! With such thick tree cover, I needed my light even after the sky lightened significantly. Lincoln Wood Trail - a converted rail trail. Spooky indeed. Heading up the Bondcliff Trail. Finally enough light to start snapping pics! A "runnable" stretch of the Bondcliff Trail. Can you guess what elevation I was at when coming across this sign? 4100'. Here are a few shots from my approach to Bondcliff. As you will soon see, I don't have many pictures that capture the beauty of the Pemi Loop, so I need to show the ones I got early in the day. Bondcliff with Mt. Bond in the distance. Are these clouds an omninous sign? Or just passing by before the forecasted beautiful, clear day arrives? Next up - my first summit of the day - Mt. Bond. Looking back at Bondcliff and enjoying the most visibility I will have for hours & hours. I was bummed to summit Bond and find it in a cloud. Little did I know that would be the way it would roll for summits 1-7. #2 - Mt. Guyot...or this might be #3 South Twin. At this point the summits were not enjoyable to hang out on. I was still having fun out there, but I was ready for some sun and views. As mentioned before, the forecast had called for clear skies, so what did I miss? I arrived at the Galehead Hut just after all the campers ate breakfast. The smell of coffee & pancakes wafted through the air. Drool started running down my chin. I quickly refilled my water and got the heck out of there despite the many weird looks I received from the "dressed for winter" hikers. Seemed that wearing shorts and a t-shirt was not the popular choice. This is what I missed! A forecast specifically for the high summits. Definitely more "in" the clouds than "out". And what is that wind forecast I see? The trails from the hut to Mt. Garfield were extra slick. The rocks were wet most of the day, but it was now that I noticed the trails were getting very steep. Somewhat of a treacherous combination. Of course my pictures don't quite capture that. One word of caution when hiking/running in the Whites. Be prepared to use your hands...a lot. Mt. Garfield summit. After the short video below, the camera went away as I went into survival mode. This short clip captures about 25% of the cold & wind I would soon experience. Some of my yummy grub for the day. I had made two packages of Ramen the night before. It was a nice salty treat after a few hours of running. I ate the above noodles on my ascent of Mt. Lafayette. Just as I finished, three hikers were coming down the rocky trail. The last guy asked me if there were any more exposed sections between here and the Galehead Hut. I told him there was the brief stretch over Garfield, but otherwise he would be in the trees. There was an immense amount of relief on his face, so I had to ask "why?" He proceeded to tell me of the hours they had just spent on the Franconia Ridge Trail in what he described as 60-75 mph winds. My first reaction was to brush it off as an exaggeration. There was no way the 20-30 mph winds I had already experienced could be that bad on the ridge. Let's just say I won't ever take a claim that lightly again! As I prepared to exit the trees, I noticed the intensity of the wind and clouds whipping by. I stopped and pulled all of my cold weather gear (a single 99 cent Walmart poncho) out of my pack. After stuffing the excess plastic down my shorts, I put my pack back on and plodded ahead. Upon entering the wind tunnel that was Mt. Lafayette, the sound of my poncho flapping in the wind was deafening and I couldn't walk a straight line. I was clinging on to the poncho (especially the hood squeezing it tight on my face) in fear that the wind might rip it off my body. Time stood still during this stretch. I have no idea how long it took me to summit Lafayette. I do know that once I did, I made a bone-headed mistake and took the trail down to the Greenleaf Hut. I got about a third of a mile down before I remembered that I should have been on the ridge and not dropping straight down. If I had a REALLY low point of the run, this was it! Turning around I was staring at a steep climb of several hundred feet and in these conditions, my spirit was crushed. My core was staying warm, but my arms and hands were beet red and numb. I re-summited Lafayette and began the trek to Mt. Lincoln. I don't remember hitting that summit at all. The wind was somewhat at my back, but the sustained power it had been unleashing on me was beginning to wear me down. Not to mention I was well over the 20 mile mark on very unforgiving terrain. Next came Little Haystack and I don't remember that summit either. With 20-40' visibility, I had no landmarks to judge where I was or how far I had gone. All I knew was that I was on the right trail thanks to some cairns and sporadic white spray paint marks. Descending Little Haystack, I finally entered some trees and met some relief from the wind. A few moments later, I caught the first ray of sunshine. Ah, what bliss I felt. The poncho came off and I was a new man. Next thing I knew...there off the trail was a view into the valley below! In the span of 20 minutes, the clouds lifted in dramatic fashion, the wind died down to tolerable levels, and I was soaking in the views I had been waiting all day to see! Looking north to Garfield, Lafayette, Lincoln, and Little Haystack. From Mt. Liberty looking south to Mt. Flume. Had to prove it was me out there taking all of these pics. The final descent down the Osseo Trail went without a hitch and I arrived back at my car 8hrs 54min after I left that morning. All things considered, I felt great and very satisfied completing one of the toughest 32 mile (a little extra thanks to my Greenleaf excursion) run I've ever done. Later that night, I got enthralled reading about why the weather in the White Mountains is so harsh. Mt. Washington (6288') is the eastern neighbor to the Pemi Loop trails, and that peak has been declared as having the "worst weather in the world." While that claim is debatable, the following article is an interesting read - Worst Weather in the World. In closing, the White Mountains may not have the high altitude found in Colorado, but they are every bit as beautiful and certainly more challenging. I can't recommend the Pemi Loop enough for those looking for an amazing day on trails. Just be sure to check the right forecast and be prepared for anything. Nice report, Woody. Glad you enjoyed yourself. Thanks again for all your info Adam. I've looked at the MWO forecast page before, but never noticed the higher summits forecast. That would have been more helpful than looking at the forecast for Lincoln! I've already checked out some of the other NH adventures you've been on. That will definitely get me excited for next summer. Let me know if you're ever in the Denver area and are interested in a run. Thanks, Woody. Let me know when you're in the area again, maybe I can help you with the Presi Traverse. Ah, the Pemi Loop! I grew up in NH and spent my childhood camping and hiking in the Whites. I've climbed all the 4,000 footers and know those trails well. This was years before I took up this crazy ultra running hobby... It'd be very nostalgic to go back and run some of those trails again. I've done the Pemi Loop several times, but always as a multi-day backpacking trip. (I've also done the Presi Traverse, if you ever need some beta.) The Whites seem so small compared to Colorado's peaks, but they have their own challenges, that's for sure. Most of the trails around Leadville look like highways compared to the fields of glacial strewn granite boulders New Englanders call "trails". Awesome report! Great run! Very cool Andy. We'll have to chat NH the next time we see each other. You should check out Adam's blog. He's posted about a bunch of long runs that you'd probably be familiar with. Adam rocked it out at Hardrock this year and I can see how training in the Whites prepared him well for the rough terrain in the San Juans. I had to laugh at the hikers-dressed-for-winter remark. I hiked the Presidential traverse a few years ago, in absolutely gorgeous 70-degree and sunny weather, and half the people we passed on the trail were in neon gore-tex and down from head to toe. I think locals get brainwashed by the Worst Weather In The World signs. The trails here are indeed an impediment if you're used to Colorado (I lived and climbed out there for many years before moving east). It's like the difference between I-70 and the Brooklyn-Queens Expressway.